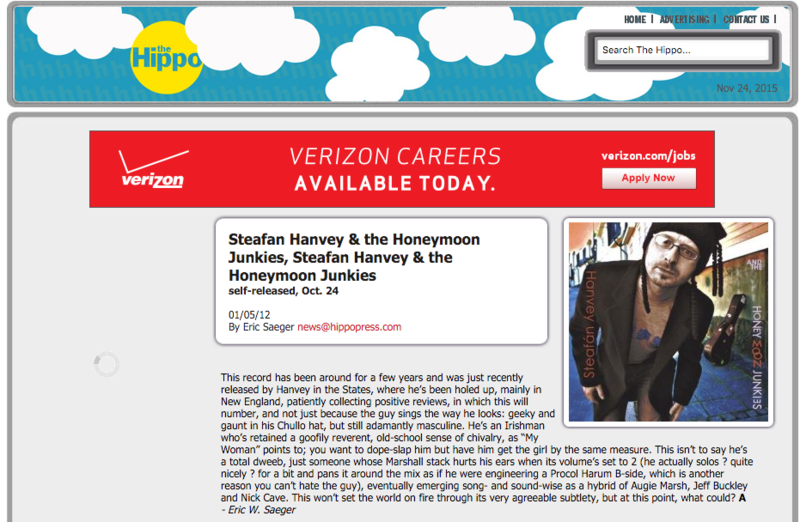 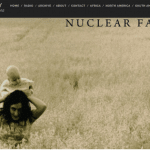 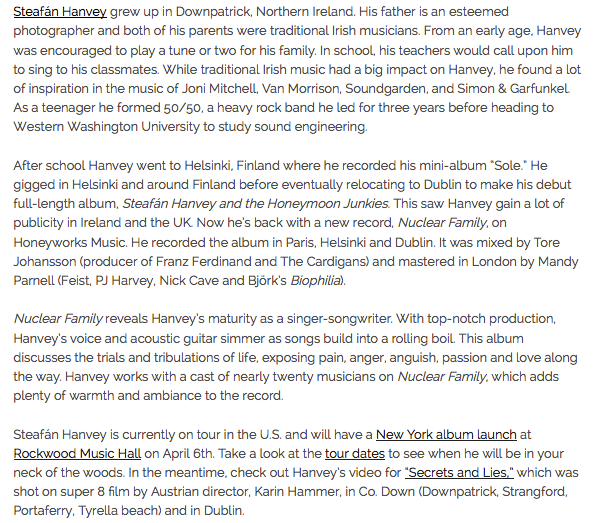 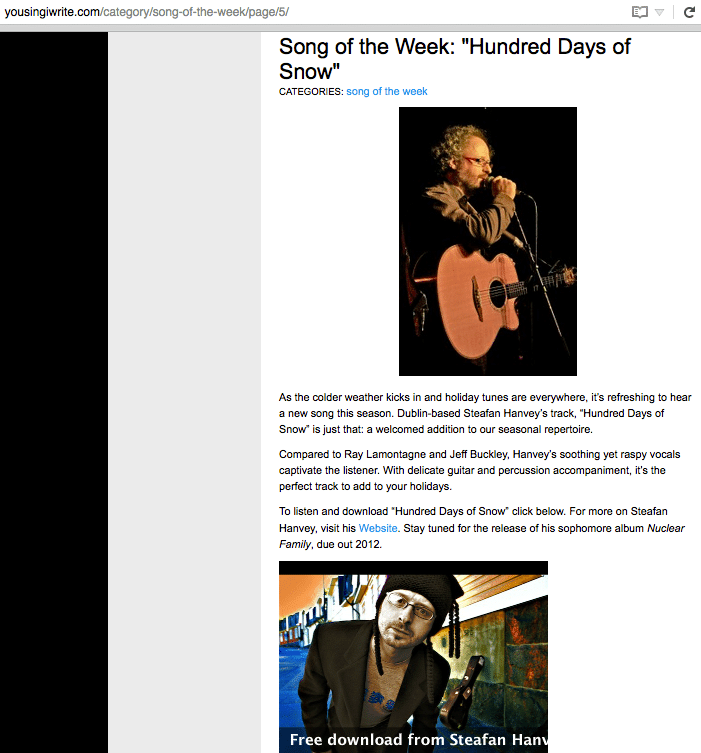 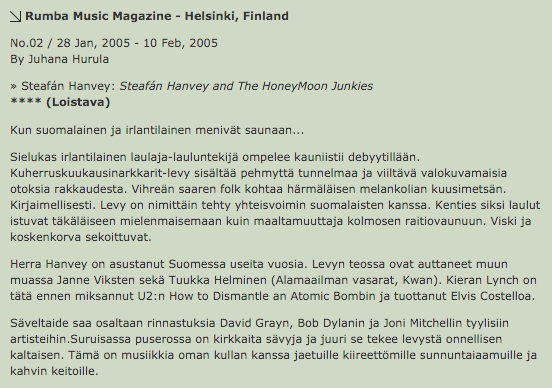 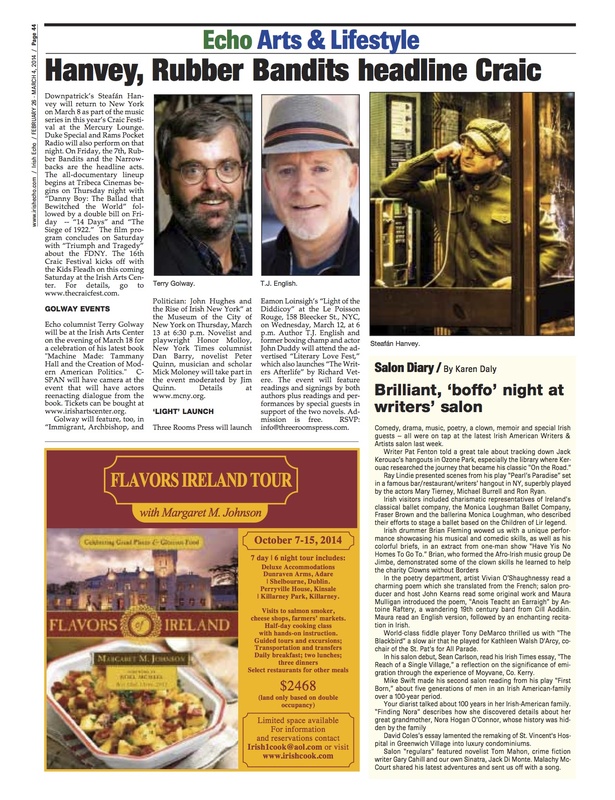 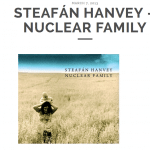 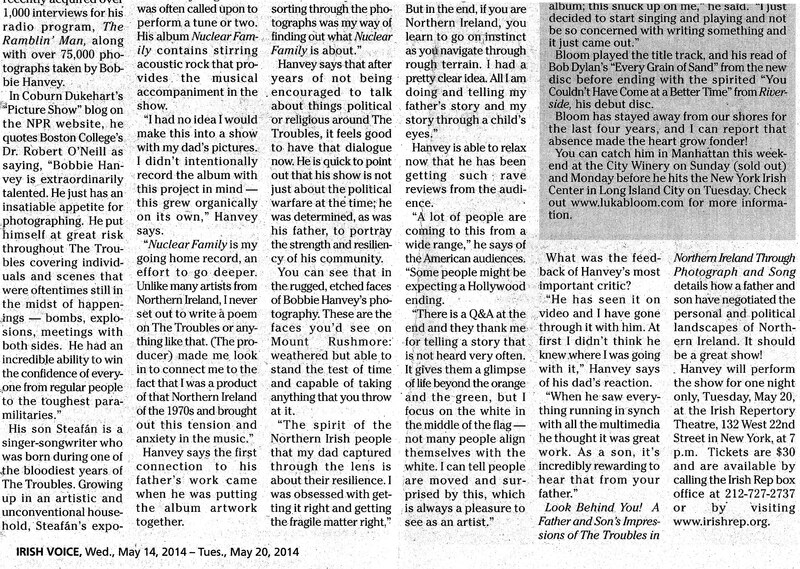 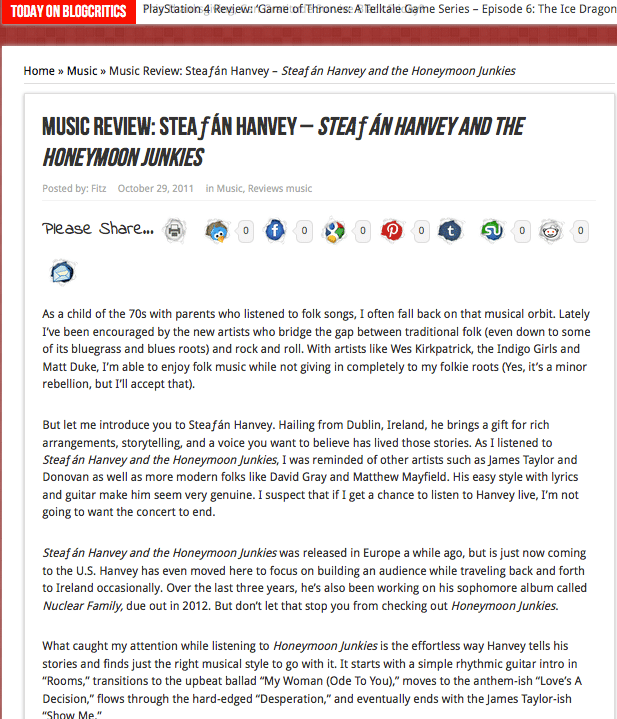 "Nuclear Family reveals Hanvey’s maturity as a singer-songwriter. 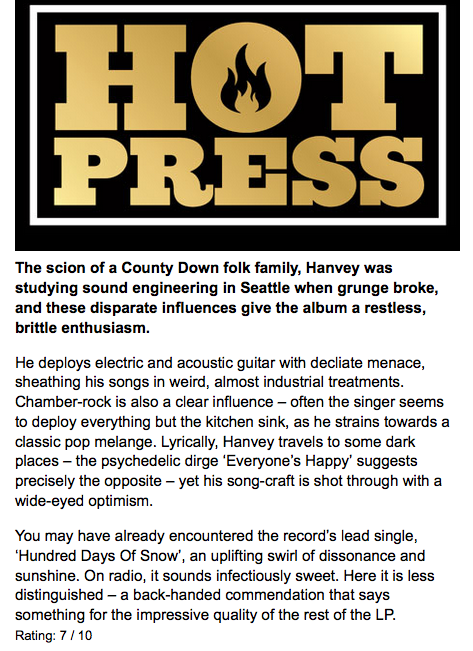 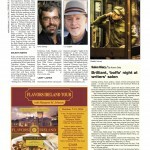 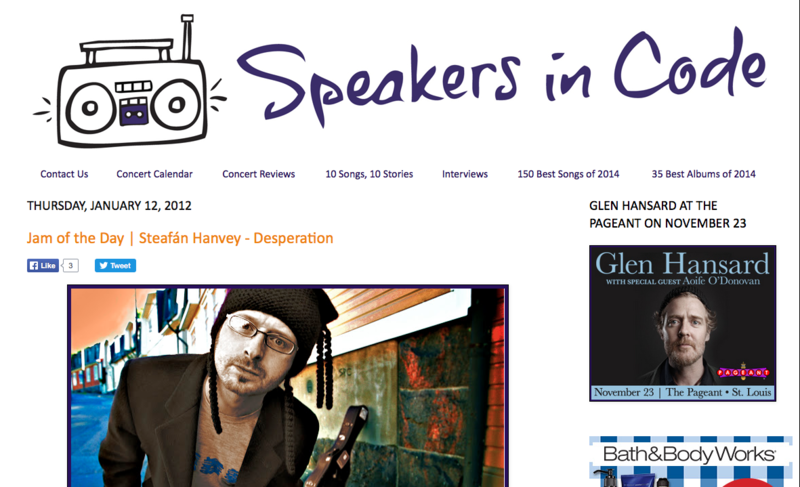 With top-notch production, Hanvey’s voice and acoustic guitar simmer as songs build into a rolling boil. 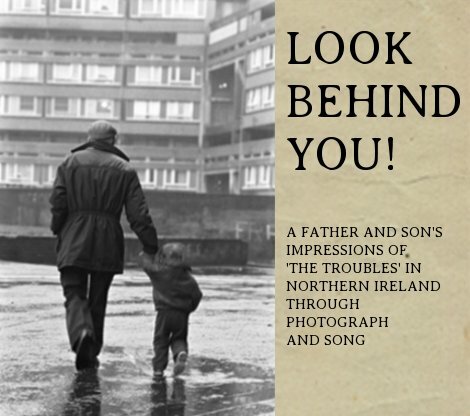 This album discusses the trials and tribulations of life, exposing pain, anger, anguish, passion and love along the way. 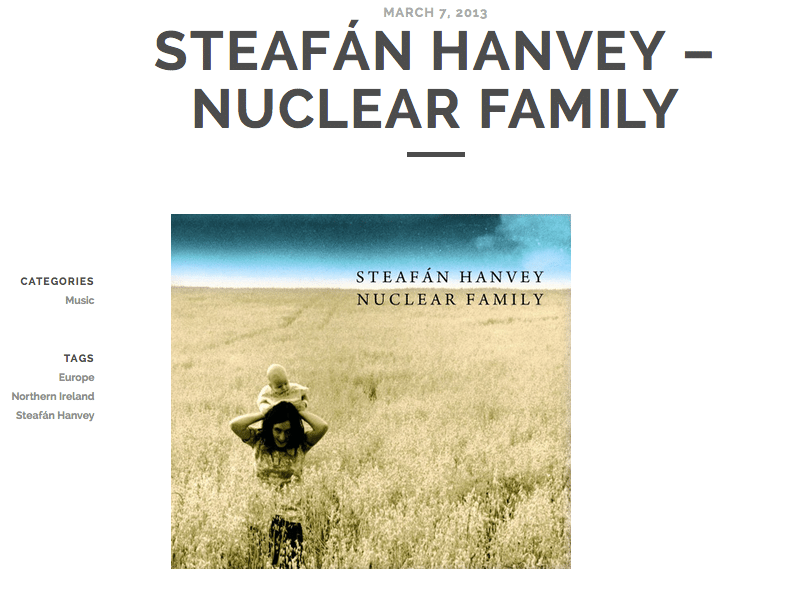 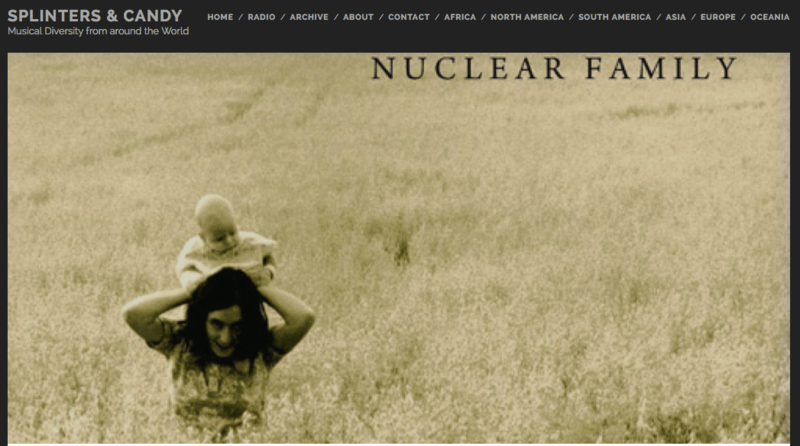 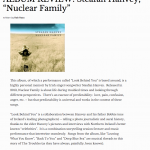 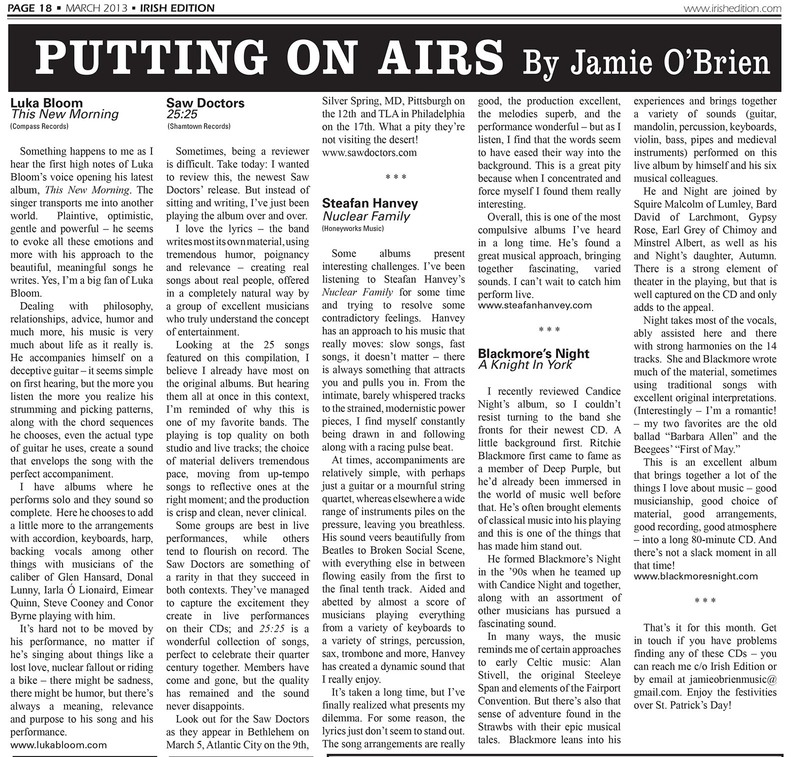 Hanvey works with a cast of nearly twenty musicians on Nuclear Family, which adds plenty of warmth and ambiance to the record." 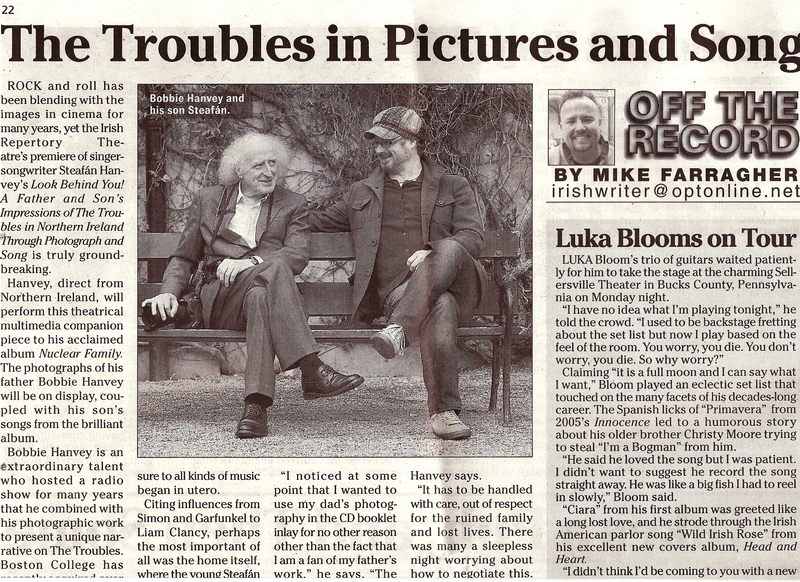 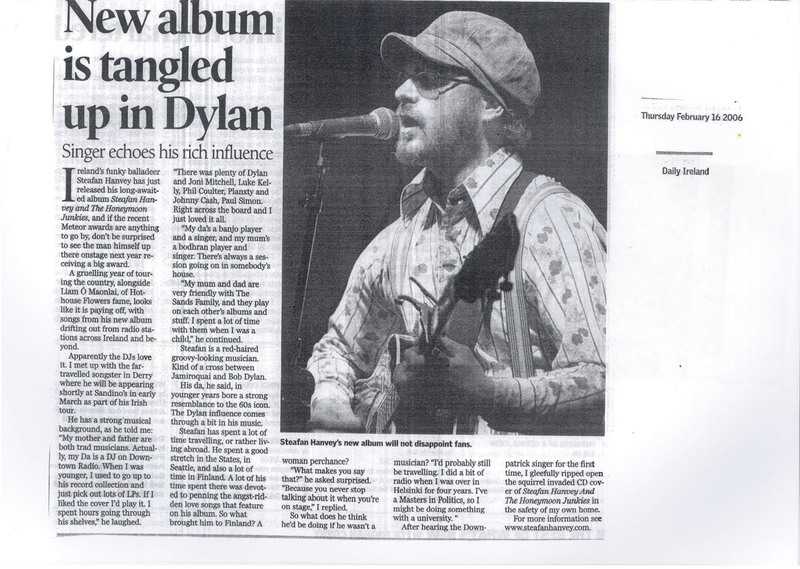 "One of the album's strong points is his voice, which oozes warmth and a confessional charm. 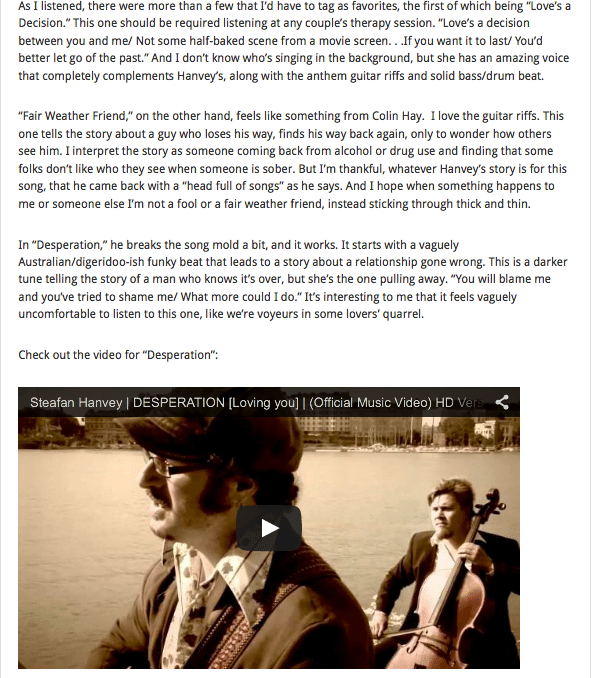 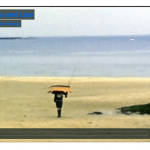 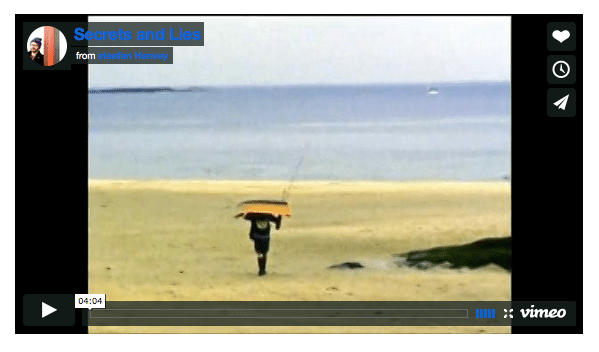 A lean, longing collection." 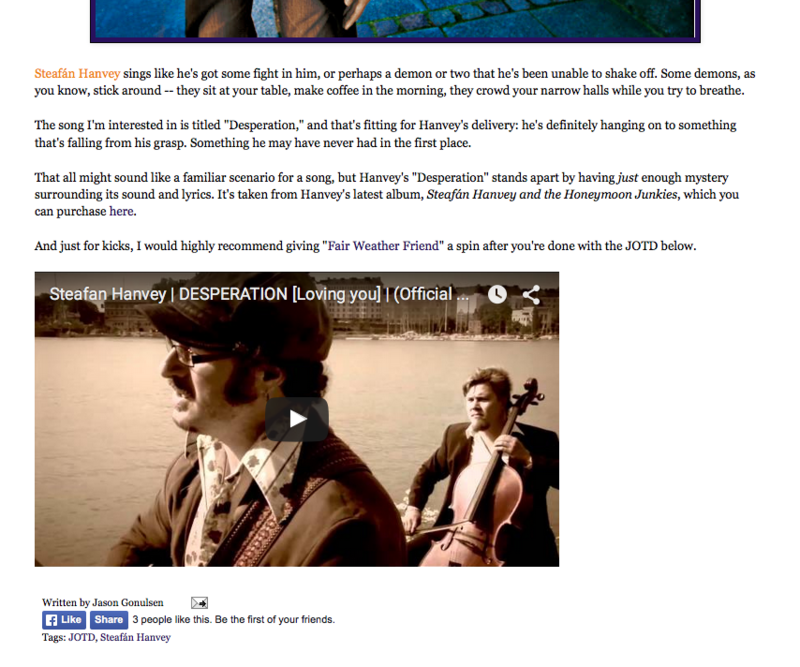 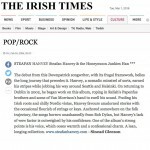 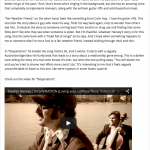 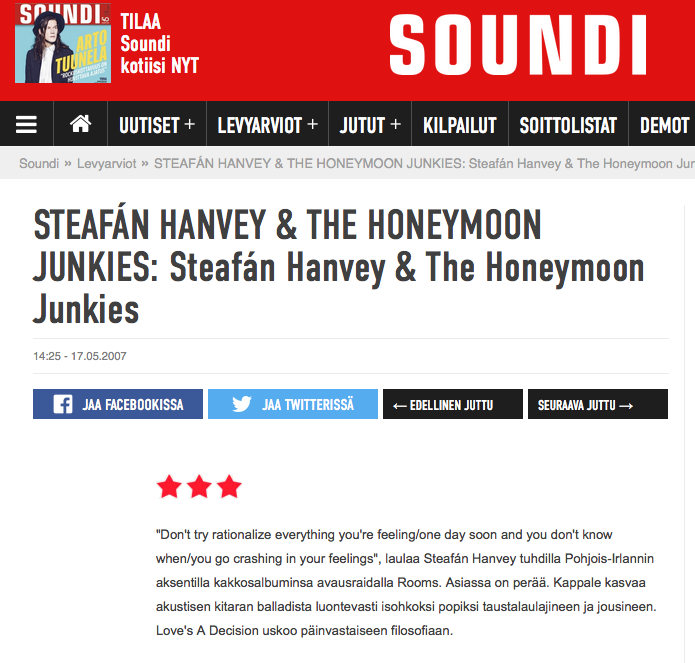 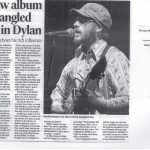 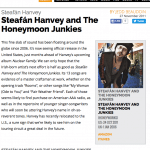 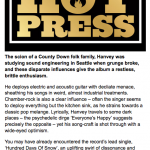 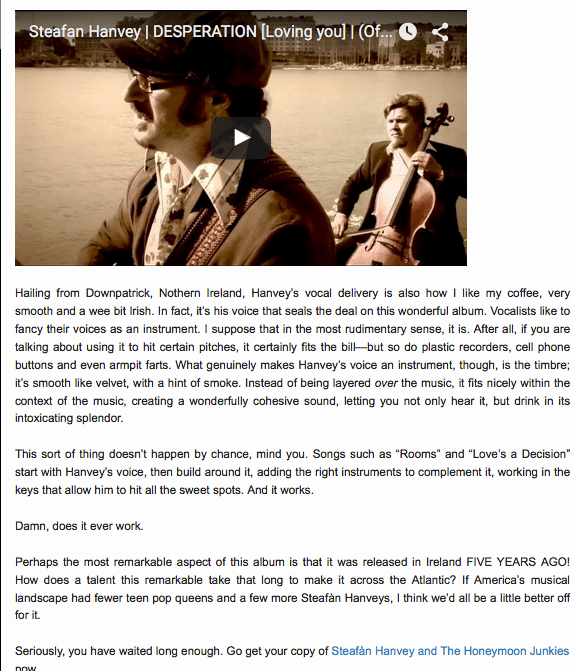 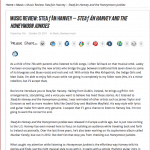 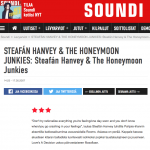 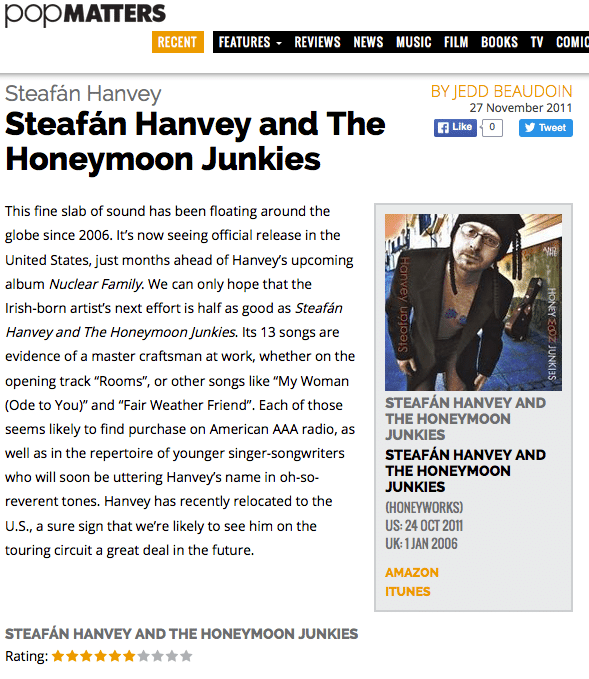 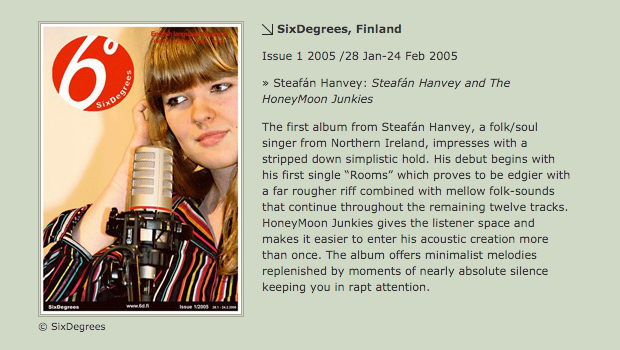 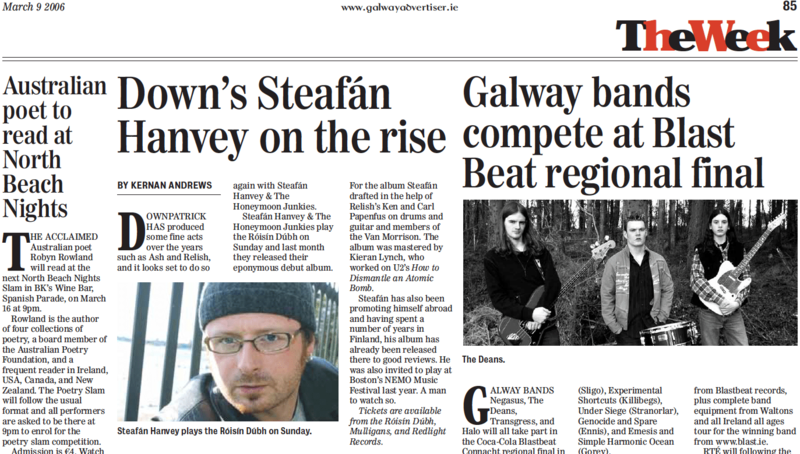 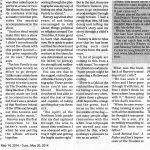 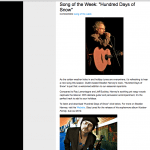 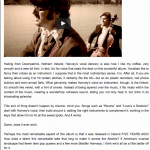 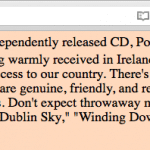 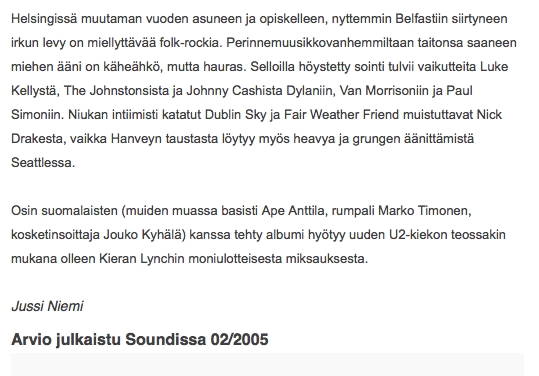 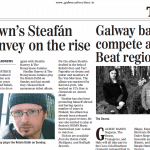 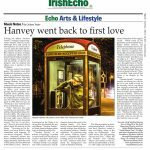 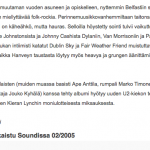 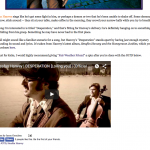 "Steafán Hanvey has just released his long-awaited album Steafán Hanvey and The Honeymoon Junkies, and if the recent Meteor awards are anything to go by, don't be surprised to see the man himself up there on stage next year receiving a big reward." 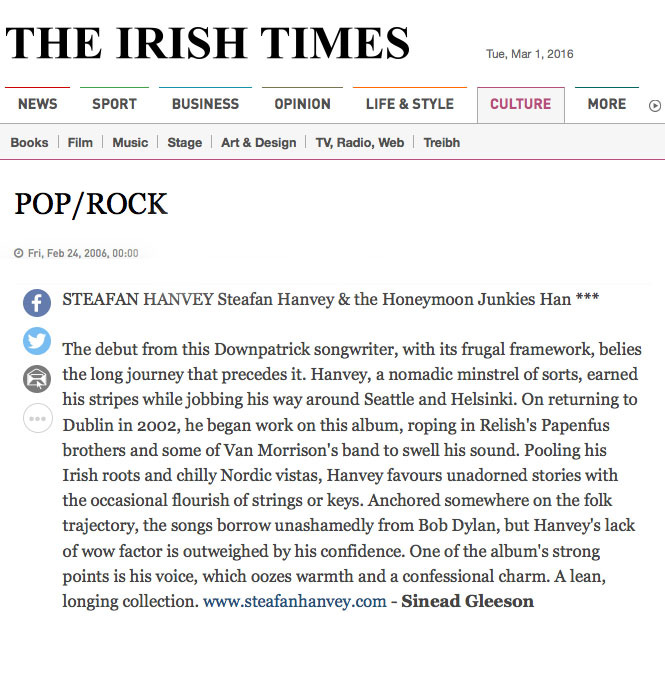 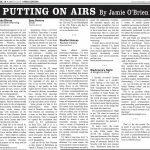 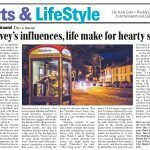 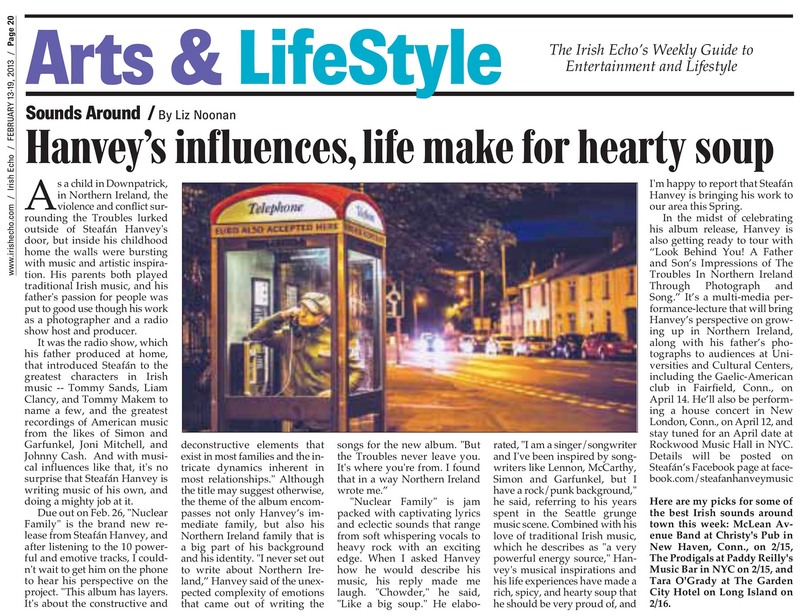 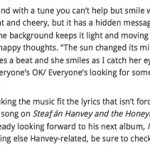 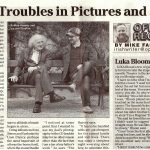 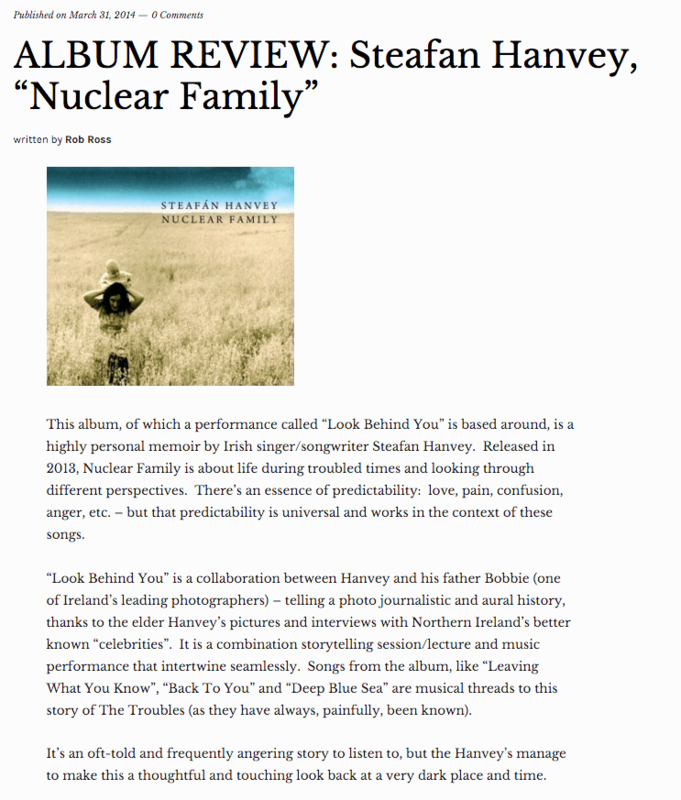 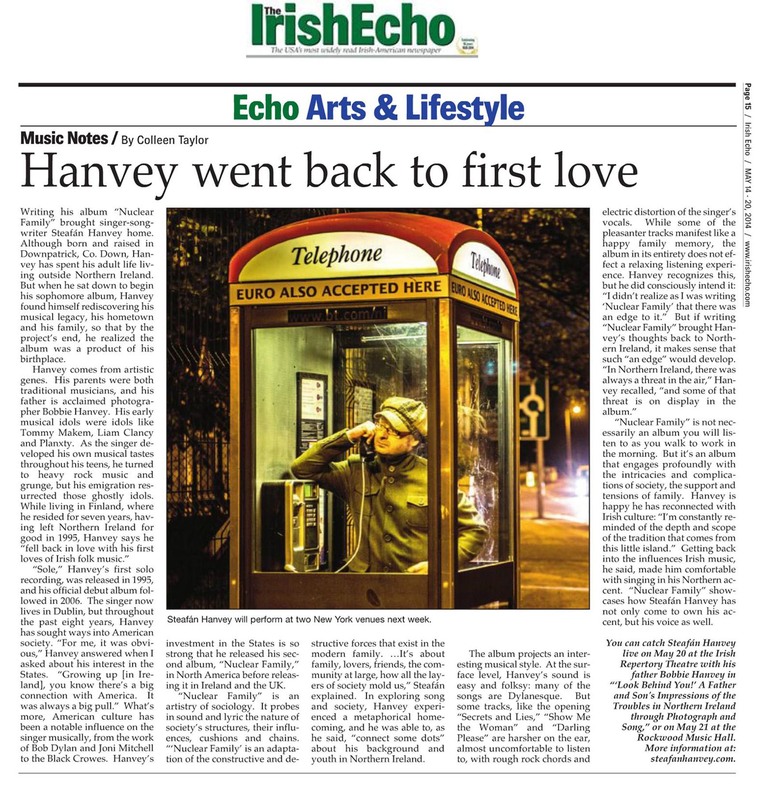 "Steafán Hanvey's debut is a rare delight, a singer-songwriter record which eschews introspection and deals in sparkling, dare I say it, feel-good, melodies."